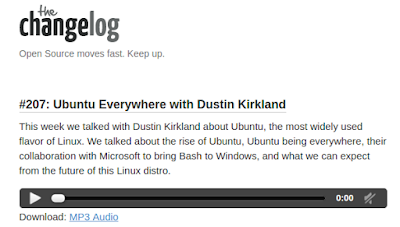 I had the honor and privilege a couple of weeks ago, to participate in a recording of The Changelog, a podcast dedicated to Open Source technology. These guys -- Jerod and Adam -- produce a fantastic show, and we covered a lot of ground! 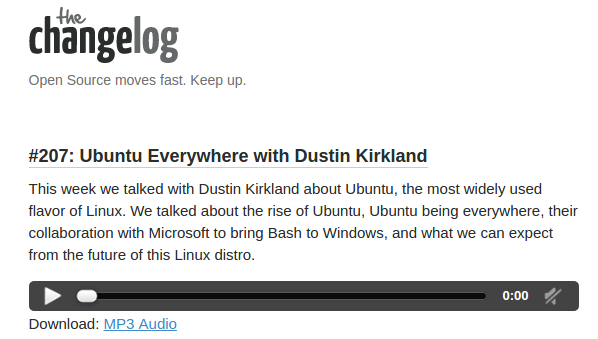 Give it a listen, and follow the links at the bottom of their page (their site is hosted on Ubuntu, of course!) to learn more. This certainly takes the pain out of looking at the control information. 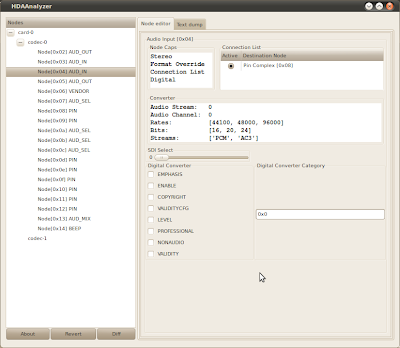 HD-Audio can be reconfigured without having to re-load the driver using the special sysfs files - this enables one to twiddle and debug HD-audio in a relatively pain free way. show the default pin configurations as set by the codec parser. Only pin configurations changed by the parser are shown. show ping configurations used to override the BIOS set up configurations. One can append new values by writing a nid and value tuple to this file. 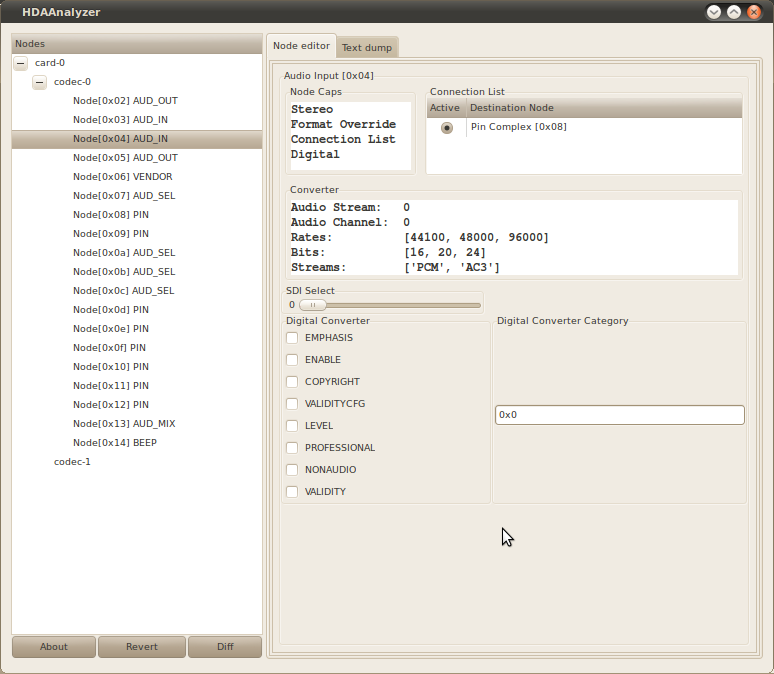 ..showing that my Lenovo has Realtek ALC861-VD and the vendor and subsystem ids. Thanks to the work of David Henningsson, we now have a proper Apport symptom for audio bugs. It just got updated again to set default bug titles, which include the card/codec name and the problem, so that Launchpad’s suggested duplicates should work much more reliably. instead of trying to guess the package right.